First sheet: original drawings expressing several prepositions of direction. I taught this in a yoga school, so after practicing the language we made an assault course out of blankets, mats, blocks, and chairs. I then had the students direct one another through the course. Second sheet: A couple of homework activities, including idioms using prepositions of direction. 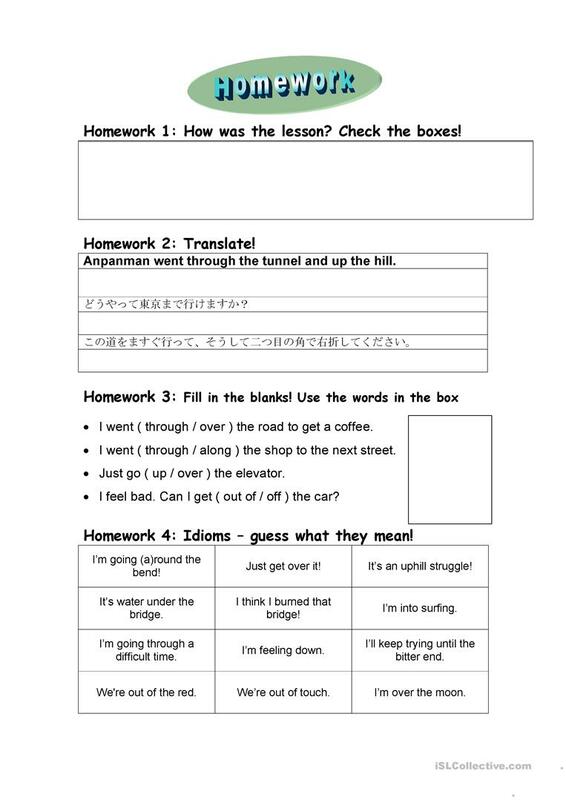 There's a bit of Japanese in the file as this is for Japanese students, but feel free to edit! The above downloadable teaching material was created for adults at Pre-intermediate (A2), Intermediate (B1) and Upper-intermediate (B2) level. 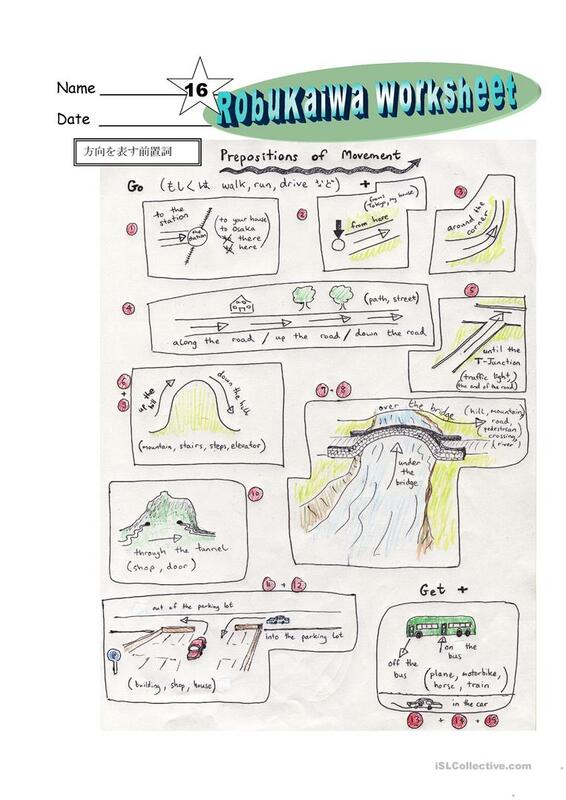 It is valuable for teaching Prepositions in English. It is about the topic and words of Idioms. Bobarob is from/lives in United Kingdom and has been a member of iSLCollective since 2011-01-22 03:55:49. Bobarob last logged in on 2015-09-04 11:13:52, and has shared 1 resources on iSLCollective so far.